Indian Wells, CA (September 14, 2018) - It is finally here. Registration is open for the 30th IPSA Annual Conference January 8-10, 2019 in Indian Wells, CA. The IPSA Annual Conference will be held in conjunction with GreenLeaf's Winterfest will be on January 7 and 8. Hotel block reservations are also open through IPSA's registration site at the Renaissance Indian Wells Resort & Spa in Indian Wells, CA. The Annual Conference Committee has put together a program full of speakers, information, business, and personal development. You can find the current schedule of events HERE. The list of speakers was announced in August. 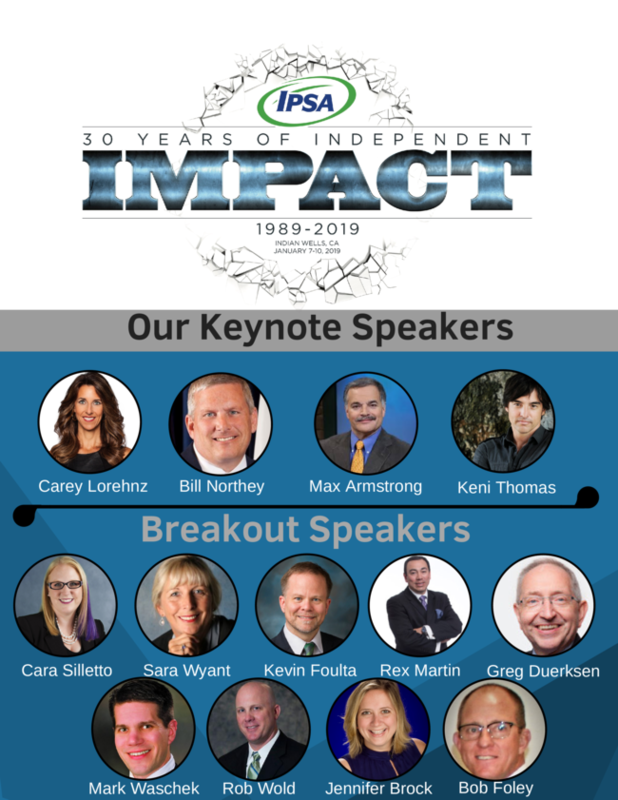 Indian Wells is right outside of Palm Springs, CA and IPSA says it is going to be a fantastic place to be in January to celebrate 30 years of independent impact!